In casual conversation, “tea” has come to mean any steeped beverage that’s not coffee. I use that loose definition also, not through lack of knowledge, but by gross generalization. Everything I pour into my teacup, regardless of its provenance–from mint leaves to rooibos, is a tea to me. Tea has a language of its own though. What’s in a name? When exploring new teas the nomenclature will provide a hint of how it will taste. 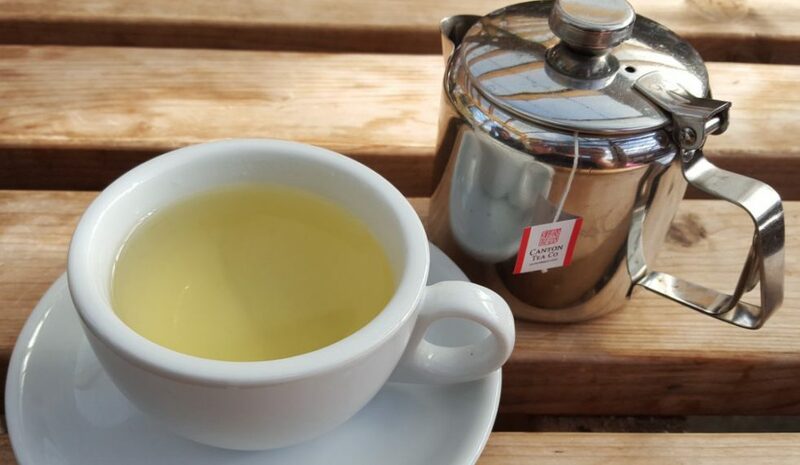 You probably know that white tea, green tea, Oolong, Pu-erh and black tea are all harvested from the same plant, Camellia sinensis, and just processed differently. In the time it takes a tea kettle to boil, find out in the glossary below what separates ‘real’ teas harvested from the tea plant and tisanes. Black Tea – Harvested tea leaves are withered, air dried and then processed by hand or machinery. They are generally rolled and left to oxidize in a temperature and humidity controlled room, and then dried. When they are fully oxidized the tea leaves turn very black, hence the name. White Tea – Only select young buds are harvested and these are not rolled. They are slightly withered by sun or air and then dried. It is called white tea because of the white downy hairs that often cover the tender buds that are picked for this tea. Green Tea – After the tea leaves are picked they are withered, either pan-fired or steamed, rolled and then dried. These leaves are sometimes refrigerated for longer term storage and dried one more time prior to packaging. This type of processing allows the leaves to retain a green color even with extended storage. Oolong – In general, oxidation for this style of tea is stopped somewhere between the standards for green tea and black tea. Different varieties of Oolong are processed differently, and the leaves are rolled into one of two traditional styles. Some are rolled into long curly leaves, while others are curled into small beads. The English translation of this Chinese surname is Black Dragon. Pu-erh Tea – Most Pu-erh teas come from Yunnan province in China and that is where this geographic name originates. Tea leaves are picked, withered, rolled and then there is a slow secondary oxidation that can include natural or forced fermentation. This secondary processing results in a stronger tasting tea even though the initial process began as a sun-dried green tea. Once fully processed, the tea is formed into either bricks or loose leaves. Blended or Flavored Tea – Any tea using Camellia sinensis as a base and then blended with natural or artificial flavors. For example, Jasmine Tea is green tea either scented (the tea is left in a room with fresh jasmine flowers to absorb the scent) or blended with jasmine blossoms. Earl Grey is black tea flavored with bergamot oil. Herbal Tea – Yes, I know herbals are not teas, they are tisanes. Tisane, a French word, is pronounced Tee-zahn. This refers to any beverage made from the infusion of herbs, spices, or other plant material. Generally tisanes are caffeine-free and served hot, but not always. Tisanes can be all one herb, for instance just mint leaves–or a blend of things steeped together like cinnamon, ginger and licorice. The herbal tisane in my teapot today contains Matricaria chamomilla (chamomile) with spearmint, myrtle and lemongrass. There is not a speck of dried Camellia sinensis leaf in the mix. Another of my favorites, rooibos or South African Bush Tea, comes from a plant called Calicotome villosa. These are two delicious beverages that I enjoy. Technically neither can be called tea. But, between you and me, I’m still going to call them both tea. Call it what you will. Tea is delicious, however you take yours. When taking tea appreciation to the next level though, use tea specific language to clarify your meaning. There’s no need to confuse a White Peony with a chai blend or a ginseng tisane. These are all beautiful, but very different, teas and tisanes. Cheers! Samantha Joyce is a writer for Seattle Coffee Gear and enjoys sharing her knowledge of all things coffee (and tea!) Her favorite tea this fall has been a comforting cup of China Black. This is where and why the tea lovers need to explain things more.